Note: When changing the Host IP of the RADIUS server in the Meraki configuration, also reinput the secret for that record, otherwise testing the new setting may fail. Steps to configure the Meraki are accurate as of 8/11/2016, if a discrepancy is found, please contact Support with the details. 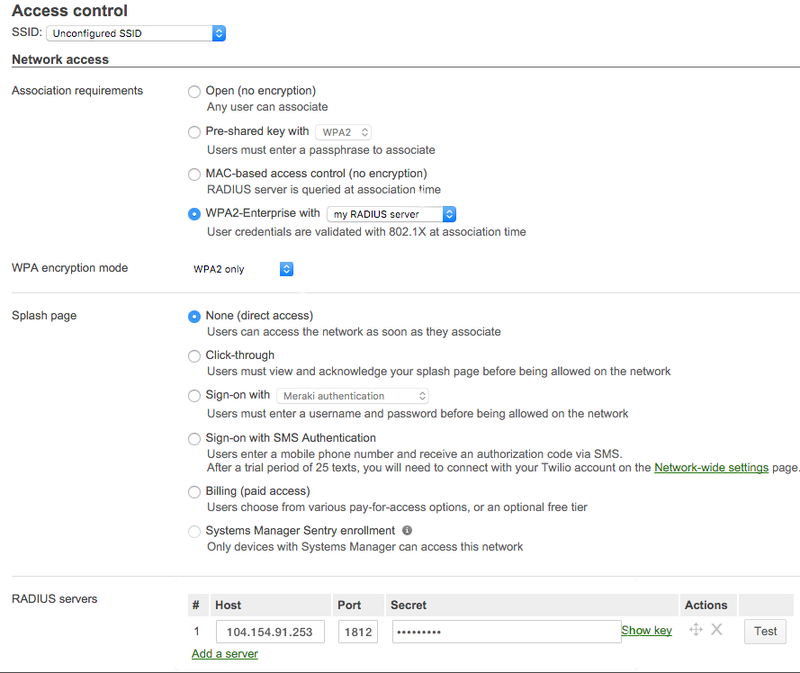 Scroll down the page until you get to the RADIUS server configuration area, and click Add a server, it's recommended to add both RADIUS server IPs for redundancy.